At Dr. King Scott’s office, we do all that we can to make sure each of your teeth are healthy and stay that way. Sometimes, teeth can become broken, cracked, or decayed beyond the point of repair. 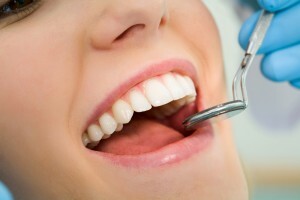 In these cases, extractions are needed to maintain the health of your smile. If we think that your tooth requires extraction, we will take X-rays and thoroughly examine your smile before committing to this procedure. We want to help reduce your anxiety, while restoring the health of your smile. Depending on the situation, we may need to refer you to an oral surgeon to perform the extraction. When it comes time for your tooth to be removed, we will anesthetize the affected area to minimize your discomfort. Once your tooth is gone, you’ll need to take care of the area to avoid infection. The first 24 hours following the procedure are where you should be the most careful. You’ll avoid things such as rinsing, spitting, hot foods, smoking, and alcohol for the first day and will be on a soft diet or liquid diet. After several days to a week or so, you’ll feel much better. We also offer dental implants and other solutions to help replace your missing tooth, so there’s no need to worry that an extraction will permanently change the appearance of your smile. Whether it’s needed because of damage, decay, crowding, or because it’s your wisdom teeth, we can help remove your teeth and ensure the health of your smile.